*** Dhaka Terror Attack – What to Expect? But in backdrop of the above, it is equally important to acknowledge the following: Pakistan’s ISI is inexorably linked to AHAB, ABT, JMB / JMJB and HUJI in Bangladesh; Pakistani terrorist Asim Umar heading Al Qaeda’s South Asia branch, tasked to cover the region from Afghanistan to Myanmar, sprouted from his mother organization HUJI that used to run branches in Kashmir, Bangladesh and Myanmar; in December last 2015, our media had quoted intelligence agencies assessing that there may be 23 Indians in Iraq and Syria fighting for the ISIS; the internet is being optimized for radicalization within India and abroad and needs to be monitored continuously; busting of three terror modules in recent months from Roorkee and Hyderabad had pan-India profiles, with one module in Hyderabad preparing the explosive traicetone triperoxide (TATP) used in the Paris and Brussels attacks; the JMB in Bangladesh has aligned with the ISIS with Shaykh Abu Ibrahim, JMB chief declaring ISIS intends to use fighters from Pakistan and Bangladesh to mount guerilla type of attacks, and; most significantly the China-Pakistan sub-conventional nexus will continue to encourage / use terrorism against India. 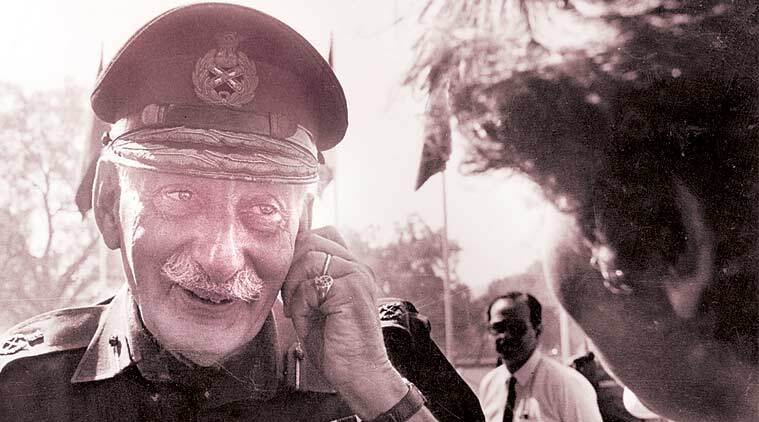 *** Field Marshal Sam Manekshaw died this day in 2008. A daughter remembers. Perhaps because there are so few of us around, people feel obliged to email and SMS me snippets of news and views, blogs, pictures and videos about Parsees. The complimentary pieces are bittersweet gestures of affection for a friend. They come tinged with regret that seems to mourn the inevitable passing away of our tiny community. The last little video I got came with the message “You should be proud” and opened into a montage of the usual greats. I watched with only tepid interest as the pictures and names in blazoned heroic script passed across the screen. There was Jamshedji, and Dorabji, Nani, Fali and Soli. There was Bhikhaji Cama and atomic energy Bhabha and Rattan of course, Adi, and apro Zubin and Cyrus. I’d seen them all before. At the very end, the video stalled and I realised I was mildly miffed at the producers who had missed one name. Still and sad, I stared hard at the little dots going round and round as the video buffered into its last five seconds. In those long moments, I felt my chest tighten and my eyes prick as I remembered the missing man. He had meant so much to us. Eight years dead this week, he was still right there at every family gathering, lighting up the room with silly teasing and laughter, telling funny stories about the cook in Amritsar whose kheema my mother could never match, or the fair girl who’d given him his first innocent kiss by the back loo in exchange for a promise not to tell the elders she was meeting with the local rake, or the tale of how he had exasperated his mother into throwing a bunch of keys at him for explaining to all the household that his hazel eyes came from being born in Egypt. When we asked; “Why Egypt? His only explanation was “Baby, that’s the only name I knew!”. Summary: India’s nuclear deterrence policy should work in parallel along twin tracks: continuing to enhance the quality of India’s nuclear deterrence while simultaneously working to achieve total nuclear disarmament in the shortest possible time frame. Summary: Unless India’s conventional and nuclear commands closely coordinate their operations planning, an Indian nuclear response threatens either to be unsuccessful or to escalate out of control. Gaurav Kampani is a nonresident fellow at the Atlantic Council’s South Asia Center.In the decade and a half since India conducted nuclear tests and formally claimed nuclear status, a revolutionary transformation has occurred in the way that Indian national security managers have approached nuclear weapons. This transformation concerns a serious effort on their part to operationalize India’s nuclear arsenal. India’s shift toward an operationalized nuclear force has upended the earlier consensual view among policymakers and academics that successive Indian governments did not take the demands of nuclear planning seriously. The trajectory of India’s nuclear force development and planning in the last decade, however, defies all these neat categorizations. Not only is India attempting to develop all the technical elements of a classic triad nuclear force, but it has also paid attention to the infrastructure—such as communications, transportation, storage, and logistics—as well as the institutional and organizational aspects that give any force its teeth.6 India’s efforts in all three spheres are ongoing, and it will likely take another decade until many of these efforts enter a phase of maturity and begin to bear fruit. Nonetheless, these efforts are evidence that Asia is now in the midst of a second nuclear age, with China, India, and Pakistan at its center. Summary: Limited ballistic missile defense remains vital for India’s effort to maintain strategic stability. Firstly, it is a fact that there were some totally absurd recommendations rendered by the 7th CPC. And it is also a fact that I had fully brought them out on my blog and those posts can be perused to get an idea about some of the faulty parts of the 7th CPC. In fact, some observations of the 7th CPC were not just illogical, but also factually incorrect and against law laid down by Constitutional Courts. Some of these issues were discussed on this bloghere, and also here. If that was not enough, the total benefit recommended by the 7th CPC, to both civil and military employees, was meagre, to say the least. Summary: Although military security is no doubt essential for Pakistan, it is high time for the state to assign a high priority to investing in human capital, lest the country’s miserable state of human development continue indefinitely. The author is a PhD scholar in the Department of Economics and Finance, Institute of Business Administration (IBA), Karachi. The views expressed are those of the author and should not be construed as necessarily represent the IBA. The usual disclaimer applies. This study is just an economist’s attempt to establish the opportunity cost of Pakistan’s nuclear program by estimating the cost of its nonconventional security assets and then computing an estimated opportunity cost in terms of conventional military expenditures and human security. All facts and figures referred are from secondary sources, with complete citation. Summary: Pakistan’s nuclear posture and the size of Pakistan’s nuclear arsenal have been subjects of considerable speculation and debate since Pakistan first tested nuclear weapons, and increasingly so in recent years. Brigadier Naeem Salik (retired) is a senior fellow at the Center for International Strategic Studies. Before his retirement from the Pakistani military, he served as director of arms control and disarmament affairs in the Strategic Plans Division, the secretariat of Pakistan’s National Command Authority.Pakistan’s nuclear posture and the size of Pakistan’s nuclear arsenal have been subjects of considerable speculation and debate since Pakistan first tested nuclear weapons, and increasingly so in recent years. Within the vast debate, however, many outside Pakistan seem to have agreed that Pakistan has the fastest growing arsenal in the world.1 Alarmists estimate that by 2025, Pakistan will become the third-largest nuclear weapon power, leapfrogging ahead of France, China, and the United Kingdom, behind only the United States and Russia.2 Others conjecture that its growth will make it only the fifth-largest arsenal.3 Even the best of these estimates are still highly speculative, based on assumptions about Pakistan’s goals, the capacity and efficiency of Pakistan’s nuclear materials production facilities, its ability to convert these materials into weapons components, and its ability to build an inventory of adequate numbers of delivery systems. Estimates also assume that 100 percent of available fissile material is being converted into weapons, and that Pakistan’s reprocessing and weapons core fabrication can keep pace with the production of plutonium at the Khushab nuclear complex. These estimates draw criticism and angry responses from Pakistani officials, but a vast majority of the people in Pakistan feel elated reading such reports. The people of Pakistan might be disappointed to learn that, contrary to the prevailing perceptions, the size of Pakistan’s arsenal is, and will remain, substantially smaller than recent reports published in the United States suggest. Sadia Tasleem is a lecturer at Quaid-i-Azam University’s Department of Defense and Strategic Studies in Islamabad, Pakistan. On March 9, 2015, Pakistan’s Inter-Services Public Relations agency announced the “successful test launch of Shaheen III surface to surface ballistic missile, capable of carrying nuclear and conventional warheads to a range of 2,750 kilometers.”1 Responding to a question about the rationale for testing the Shaheen III missile, adviser to Pakistan’s National Command Authority Khalid Kidwai said the Shaheen III missile is meant to reach India’s nascent strategic bases on the Andaman and Nicobar Islands.2 The purpose is to deny India a second-strike capability.3 Does this mean that Pakistan is moving toward a counterforce targeting or war-fighting doctrine? The Shaheen III tests have certainly caused speculation, but they may just be another sign of evolving trends in Pakistan’s doctrinal thinking.4The Shaheen III has piqued curiosity recently, much as perceptions about Pakistan’s nuclear use doctrine have for the past twenty-plus years. Two events took place last week: the abominable murder in Karachi of the irreplaceable Sufi singer Amjad Sabri and Britain’s momentous vote to exit the European Union. There’s a lesson for us here: Pakistani prime minister Nawaz Sharif clings on to office despite having lost all moral and legal authority while the British prime minister David Cameron resigns within hours of losing the Brexit vote. That’s real democracy; Pakistan is an electoral dictatorship. Prime Minister David Cameron resigned without batting an eyelid. He did not muddy the waters by questioning the obvious, ask for a judicial commission and begin making terms of reference like Nawaz Sharif has done to delay the inevitable. Cameron is what democracy is all about; Nawaz Sharif is what democracy is not. Cameron did not start speaking lies. He bowed to the will of the people and resigned. Like Nawaz Sharif he did not say, “I have a mandate that I stole fair and square. My Supreme Court says so. My Election Commission says so. Who the hell are you to question it? How dare you take my throne away from me?” He will have to be thrown out kicking and screaming. But I was so heartbroken after the martyrdom of the great Amjad Sabri that I didn’t feel like putting pen to paper. But then I thought that the best catharsis is to write and get it out of my system. We kill those who do any good to Pakistan and crown those who harm it with plunder and mass murder. Pathetic indeed. Summary: To better understand the implications of the continuing growth in size and complexity of the nuclear capabilities in Southern Asia, the Carnegie Endowment for International Peace, with the generous support of the MacArthur Foundation, undertook this study of the prospects for nuclear deterrence stability among China, India, and Pakistan over the next decade. Although the three nuclear powers in Southern Asia—China, India, and Pakistan—have had a complex history of disdain, reluctance, and even outright opposition to nuclear weapons at different times in the past, they remain today the only countries whose nuclear-weapons inventories are growing as nuclear stockpiles gradually shrink in the rest of the world. The fact that China, India, and Pakistan have been, comparatively speaking, late nuclearizers accounts for this anomalous trend. The large disparities in nuclear capability between the advanced nuclear powers and the Southern Asian trio exacerbates this trend further, as China, responding to U.S. and Russian nuclear capabilities, provokes Indian, and in turn Pakistani, nuclear modernization in response. Furthermore, the trio’s strong belief that they are still some ways from achieving the kind of nuclear capabilities required to protect their national interests ensures that China, India, and Pakistan will likely continue to expand their nuclear arsenals, albeit at different rates, for many years to come—even if the other established nuclear powers continue to pursue progressive reductions in stockpile size. A Bangladeshi police officer gestures during a rescue operation Saturday morning during a deadly standoff with gunmen at a restaurant in the upscale diplomatic enclave in Dhaka, the capital. Summary: At present, there are ongoing debates in China about the future of China’s nuclear doctrine. The way these debates are eventually resolved will have important consequences for the future of China’s doctrine and arsenal. Liping Xia is dean and professor at the School of Political Science and International Relations at Tongji University in Shanghai. He is vice president of the Shanghai Institute for International Strategic Studies (SIISS), vice chairman of the Shanghai Association of International Studies, and vice president of the Shanghai Center for RimPac Strategic and International Studies (CPSIS). He is also a senior guest fellow at the Institute of International Technology and Economics in Center for Development Studies under the PRC State Council. He specializes in Asian security, nuclear nonproliferation, and China’s foreign strategy.At present, there are ongoing debates in China about the future of China’s nuclear doctrine. The way these debates are eventually resolved will have important consequences for the future of China’s doctrine and arsenal. This publication maps the current debates in three sections: first, a survey of the four schools of thought that influence China’s existing doctrine; second, an assessment of the current debates; and third, a forecast of how China’s nuclear doctrine is likely to evolve in the future. Summary: China’s nuclear deterrence thinking comes from its classic military thought, which will be still the driving force for the theory and practice of its nuclear deterrence in the future. However, the momentum for disarmament dissipated when the relationships among the major powers deteriorated. Today, instead of cooperation, there is a standoff between China and the United States over the South China Sea, there is a standoff between Russia and the United States over Ukraine, and a U.S. missile defense system has been deployed in Eastern Europe. Meanwhile, regional nuclear dynamics still pose challenges for maintaining peace and stability. Just recently, North Korea conducted its fourth round of nuclear tests and pledged to become a nuclear-armed state. Summary: Given the substantial tensions concerning the unresolved Sino-Indian border issue, China’s perception of India as a nuclear weapons power is important not only for the future evolution of the international nuclear regime but also for the ongoing Sino-Indian security situation. South Asia ProgramChina does not believe that the common story of India’s nuclear program—that India developed nuclear weapons in response to China’s own nuclear program—is complete without also including India’s own aspiration to become a great power as a major motivation. 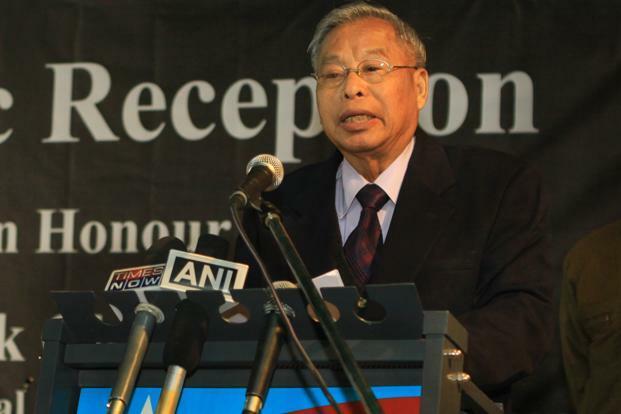 China also believes that India’s domestic politics has always played an important role in determining India’s policy options, in the context of its interaction with other international actors, such as Pakistan and the United States. Therefore, if considering India’s capabilities and intentions statically, China does not see India as a security threat due to the capability (especially technology) gap and the no-war bottom-line intention threshold. However, if examining India’s capabilities and intentions dynamically, a multidimensional scenario of security challenges would be possible in the midterm with the evolution of India’s strategic interaction in the Asia-Pacific region, the enhancement of India’s conventional weapons capability, and the ascendance of the Tibet and border factors. To ameliorate this threat, the traditional nuclear logic based on counterforce targeting and flexibility should be transformed into a crisis-management-oriented, counter-deficit-targeted way of thinking. In this process, international efforts should be made to address the disconnection between India’s great power recognition and its nuclear weapons modernization; to encourage policy consolidation between the United States and China on strategic stability in South Asia; and, to increase trust, to foster cooperation on economic and development between India and China. China has a choice to make to ensure that its sea-based nuclear capability can be a helpful addition to its existing nuclear deterrent without destabilizing regional security. China is investing heavily in its nuclear ballistic missile submarine (SSBN) capability. Western analysts point out that China’s first-generation SSBN, the 092-class, yielded only one submarine, which never conducted any patrols.1 But in a few short years, China has already built and deployed four second-generation SSBNs, the 094-class, according to the Pentagon’s annual report to Congress in 2015.2 The same report predicts that “up to five [094-class submarines] may enter service before China begins developing and fielding its next-generation SSBN, the Type 096, over the coming decade.” Some American officials believe the size of China’s 094 SSBN fleet could grow larger. In April 2015, the then–commander of the U.S. Pacific Command, Admiral Samuel Locklear, testified to Congress that “China now has three operational JIN-class ballistic missile submarines (Type 094), and up to five more may enter service by the end of the decade.”3 By expecting “five more” 094 submarines to be built, he was predicting that China may have a fleet of up to eight 094-class SSBNs by 2020. But beyond just building a large second-generation SSBN fleet, China is also having them conduct patrols, which it never did with the 092-class. According to the most recent report from the U.S. Defense Department, China’s nuclear ballistic missile submarines may start to conduct patrols in 2016.4This, if true, would represent a major milestone in the development of China’s strategic nuclear submarine capability, which could raise alert and cause reactions in the Asia-Pacific region. Supporters of military bands are pushing back against legislative attacks on the musicians’ work, arguing the benefits the groups provide outweigh the costs cited by critics. Earlier this month, House lawmakers approved new restrictions on military ensemble performances at social functions outside official duties. 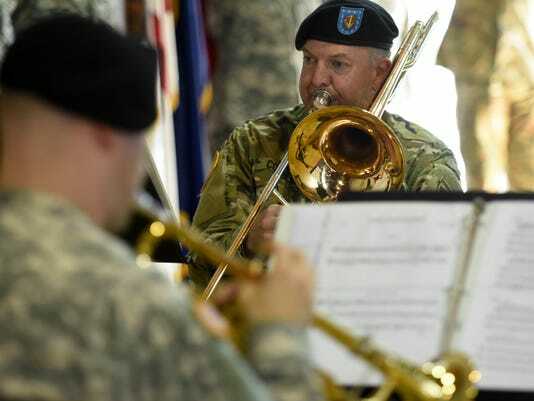 The move would not directly cut any performance funds, but would stop service musicians’ appearances at military social events, if approved by the Senate later this year. According to Defense Department estimates, military bands spend about $437 million on instruments, uniforms and travel expenses each year. Lawmakers argue that money could be better spent elsewhere, given the strict spending caps placed on defense spending. But supporters of the bands call the moves short-sighted and ignorant of the scope of the performers’ work. To better understand the implications of the continuing growth in size and complexity of the nuclear capabilities in Southern Asia, the Carnegie Endowment for International Peace, with the generous support of the MacArthur Foundation, undertook this study of the prospects for nuclear deterrence stability among China, India, and Pakistan over the next decade. At present, there are ongoing debates in China about the future of China’s nuclear doctrine. The way these debates are eventually resolved will have important consequences for the future of China’s doctrine and arsenal. China’s nuclear deterrence thinking comes from its classic military thought, which will be still the driving force for the theory and practice of its nuclear deterrence in the future. Yet nearly nine out of ten companies around the world continue not only to generate performance scores for employees but also to use them as the basis for compensation decisions.1The problem that prevents managers’ dissatisfaction with the process from actually changing it is uncertainty over what a revamped performance-management system ought to look like. If we jettison year-end evaluations—well, then what? Will employees just lean back? Will performance drop? And how will people be paid? UKIP’s triumph in securing a majority to leave the EU in the UK referendum was only the start of a broader trend of insurgent parties destabilising the EU. • Insurgent parties currently hold 1,329 seats in 25 EU countries – and are playing a direct role in government in eight member states. • Their weapon of choice is undoubtedly the referendum, and insurgent parties across te EU are pushing for at least 34 referenda in the coming years on various issues such as EU membership, eurozone membership, and refugee relocation quotas. • Some key trends can be identified in their views on international affairs: they are sceptical about the EU, resent the United States, and are sympathetic to Russia. Most prefer borders closed, migration low, and trade protected. They all want to return power to the people through direct democracy. The past 15 years have produced the cash-for-questions racket, the Hinduja andEcclestone affairs, the lies and fabrications that led to the invasion of Iraq, the forced abandonment of the BAE corruption probe, the cash-for-honours caper and the cash-for-amendments scandal. By comparison to the outright subversion of the functions of government in some of these cases, the is small beer. Any one of them should have prompted the sweeping political reforms we are now debating. But they didn't. The United States faces an inflection point when it comes to the Internet’s effect on daily life. What has enriched our economy and quality of life for the past several decades may start to hurt us more than help us, unless we confront its cybersecurity challenges. Waves of network intrusions—increasing in number, sophistication, and severity—have hit American companies and the U.S. government. In 2012, former CIA Director and Defense Secretary Leon Panetta described the nation’s cybersecurity weaknesses as presenting a “pre-9/11 moment.” And in July 2014, the 9/11 Commission itself warned: “We are at September 10th levels in terms of cyber preparedness.” Following that ominous prediction, in a span of less than two years, the United States was besieged by intrusions originating from around the globe. There was no single target, and no common perpetrator. Our adversaries stated or demonstrated that they hacked on behalf of China, North Korea, Syria, Iran, and many others. They stole sensitive information from government databases, damaged and destroyed private companies’ computer systems, and—in a new twist—even targeted individuals’ personally identifiable information to benefit terrorist organizations. The list of victims is broad and varied—the private sector, the government, and individual citizens. The past two years have publicly demonstrated the extent of the threat. It was the refugee crisis whot won it. Many of the British citizens who voted to leave the European Union on June 23 clearly had two related issues on their mind, exit polls show. The most prominent consideration was the wish to control Britain’s borders. Second was the wish to keep immigrants out. Of course, the second issue directly influenced the first. Stopping immigration was the motivation, closing borders the means. Nigel Farage, leader of the United Kingdom Independence Party on Friday morning was himself almost surprised at the Leave campaign’s success. When a Dutch television news crew asked him what in his opinion had turned the tide, he replied “Immigration!” with eyes wide in positive astonishment. Polls had been showing a neck-and-neck race between the Remain and Leave campaigns, but it was only when Leave dropped everything else and focused solely on immigration fears in the last three weeks that the Leave campaign got a boost, Farage said. Whether the theme changed people’s minds, increased turnout for the Leave campaign, or both, is yet to be established. What is certain is that immigration is very much a hot topic on many a European’s mind thanks to the refugee crisis of the past two years. If anything, the events of the past two years show that the European Union has failed in delivering what many Europeans want: an end to the apparently unstoppable influx of refugees. On the one hand this can be attributed to a failure of the European Union as an institution. They say that we should begin with something - at least some place to live, some cash to contribute, some encouragement from our relatives, friends. Infographic Of The Day: Is Your Company Just 1 Weak Password Away From A Security Breach? Today, just about everything we need to do is available as a cloud offering. With services like Office 365, Google Apps, and Dropbox,businesses are putting some of their most valuable intellectual property into the cloud. With all this convenience comes risk. With the use of a large number of 3rd party services, the enterprise landscape is far more complex. Corporate assets are now available from anywhere, with only a password protecting access to them. In an administrative message, the Marines announced big changes to their physical standards and tests. The Marine Corps announced big changes to its physical fitness standards in a July 1, 2016 administrative message. The message, signed by Commandant of the Marine Corps Gen. Robert Neller, unveiled the elimination of the flexed arm hang as the upper body strength test for female Marines in the annual physical fitness test. All Marines and recruits, male and female, will be subjected to a new test that will involve a “hybrid” of pull-ups and push ups, the announcement revealed. According to the Marine Corps Times, the flexed arm hang will be “phased out” in January 2017. England was the first country in the world to acquire a modern industrial economy, based on growth and the application of science and technology to productive process. This resulted in the creation of wealth and affluence at an unprecedented level. In becoming the first affluent country, England gave a new message to the world — in order to become rich and richer, a country needed wealth and resources which could only be obtained by a conquest over other countries, and by controlling their resources. In order to conquer other countries, a country needed to possess arms and other modern weapons of destruction. All the European powers were quick to learn this lesson. The net result was a search for colonies which were found in Asia and Africa. After all of Asia and Africa had been conquered, the European powers had to fight among themselves to protect one’s colonial possessions and encroach upon others’. Japan was the last and the only non-European Asian country to join this race. Capturing other countries economically and politically, and using them to enrich one’s own economy was a singularly European idea and the world as a whole paid a very heavy cost for this. Two big wars were fought among the European superpowers, taking as many as 115 million lives. The rest of the world was sucked into these wars among European superpowers, on account of being under their control. And so, India being a British colony, became a party to the War, declared by England against Germany in September 1939, much against her wishes. Strictly speaking, this was not India’s war; it was imposed on her. Yet, no other war fought by India has affected Indian society and politics as profoundly as the Second World War. It would be no exaggeration to say that the War shaped Independent India in many ways.